The negotiations for a bail-out of the two plants could see continuity though a weakened BJP majority is a cause of concern among analysts, says Amritha Pillay. The formation of a Bharatiya Janata Party government in Gujarat is being seen as a positive for the Adani and Tata power projects at Mundra. The negotiations for a bail-out of the two plants could see continuity though a weakened BJP majority is a cause of concern among analysts. In April, the Supreme Court ruled the two companies cannot be allowed a compensatory tariff to make up for the change in coal export policy in Indonesia. Following the order, a special committee comprising various stakeholders, including representatives of Gujarat, Rajasthan, Haryana and Maharashtra governments was formed. Adani Power sells power from its Mundra power plant to Gujarat and Haryana, while Tata Power sells power from its Mundra plant to Gujarat, Rajasthan, Punjab, Haryana and Maharashtra. “A committee had been formed, to look at what are the possible options to ensure these plants continue to remain financially viable. The committee is expected to meet again in January. With the Gujarat elections now over, it is expected we would see more momentum in these discussions,” said a person with direct knowledge of the development. The person added with the same party in power, a resolution may be easier. However, with the BJP wining the state elections with a narrow margin, some remain sceptical. “The fact that the same government continues is a good thing, however, the thin margin win would mean the Gujarat government may not want to look like a pro-business establishment. Having lost to the Congress in the rural areas, more caution will need to be exercised,” said a second person who is aware of the ongoing discussions. He added, the expectation is that a resolution may be arrived at before March next year. Private power companies supplying to Gujarat state also found them in a political crossfire last month. During its poll campaign, the opposition Congress in a press statement, alleged that the BJP government in Gujarat had let four private companies -- Adani Power, ESSAR Power, Tata Power and China Light Power -- to “squander” Rs 26,000 crore of the public exchequer by purchasing electricity from them at “unimaginably high rates” in the state. Following the Supreme Court order, both Tata Power and Adani Power were reported to have offered to sell a 51 per cent stake in their respective power plants to their power procurers at a token price of Re 1. The two people quoted in the story said among the solutions under consideration would be the capability and willingness of states to pick a stake in these power plants. 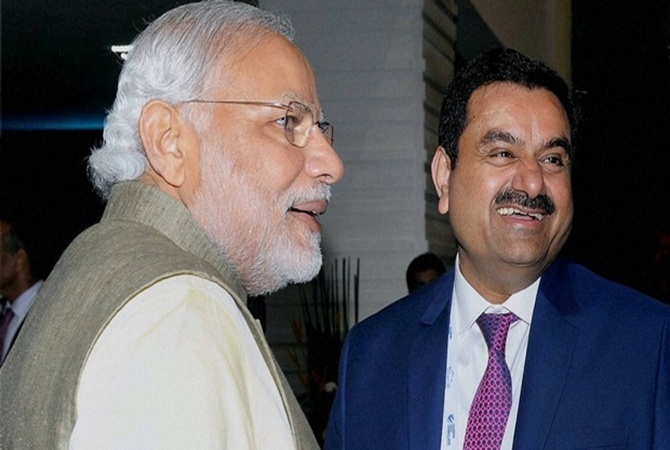 “The expectation was that the sale of the Mundra plant will pick pace post Gujarat elections. However, with Tata Power's recent acquisition of a coal mining licence in Far East Russia, the company plans to source coal for the Mundra plant from there. This raises question as to whether a sale is still on the cards,” said a power analyst with a domestic brokerage firm who did not wish to be identified. Both Adani Power and Tata Power had plans to fuel these plants using imported coal from Indonesia and had made tariff bids based on Indonesian coal price expectations. However, both companies were in for a shock when Indonesia introduced a new policy linking its coal prices to international benchmark indices. In April, the Supreme Court refused to allow for a compensatory tariff on the grounds of any change in law in Indonesia, however, it allowed for a compensatory tariff for any hike in coal prices arising out of change in Indian law. Tata Power’s Mundra plant's entire coal requirements are met using imported coal, Adani’s Mundra unit on the other hand has partial dependence on imported coal.